Dr. Wilhelm came to Madison after serving as attending physician for four years in the Pediatric Cardiac Intensive Care Unit at Columbia. His clinical interests include the peri-operative care of congenital heart disease, the interaction between the heart and lungs in critically-ill patients and inflammatory and infectious diseases of the heart. 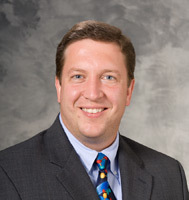 Dr Wilhelm is board certified in both general pediatrics and pediatric critical care.